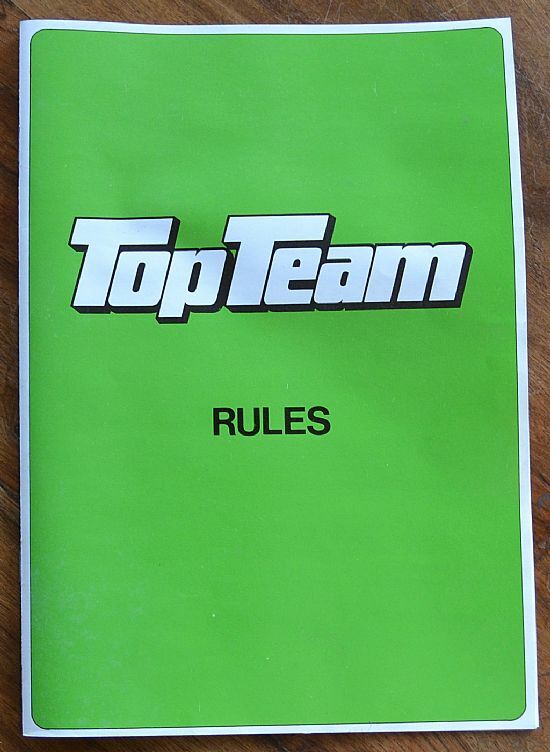 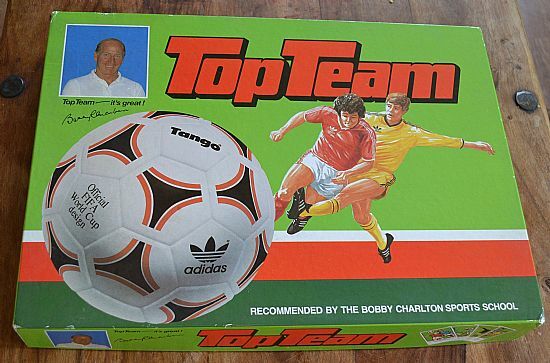 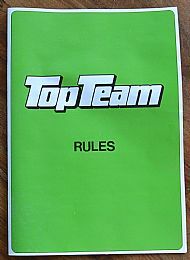 1987 board game endorsed by Bobby Charlton Soccer Schools. Classic set up of grid pitch and player figures moved using dice. 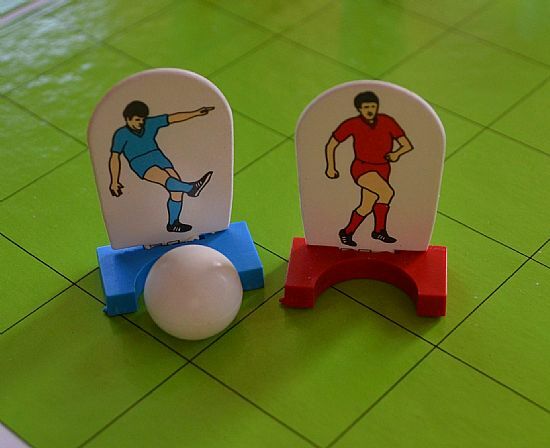 Nicely presented and fun to play. 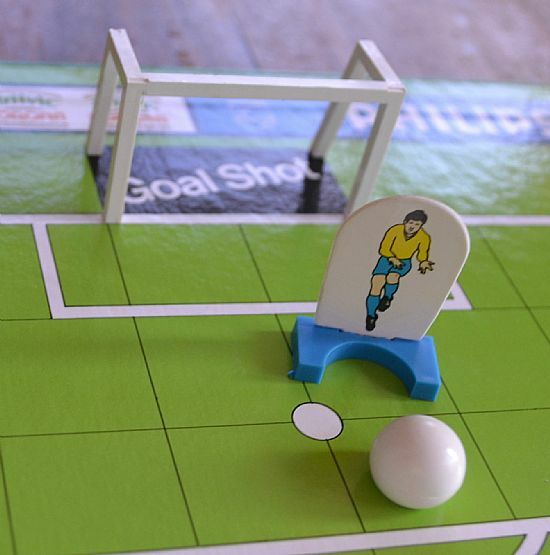 Nice big box for a proper football game with pitch and figures. 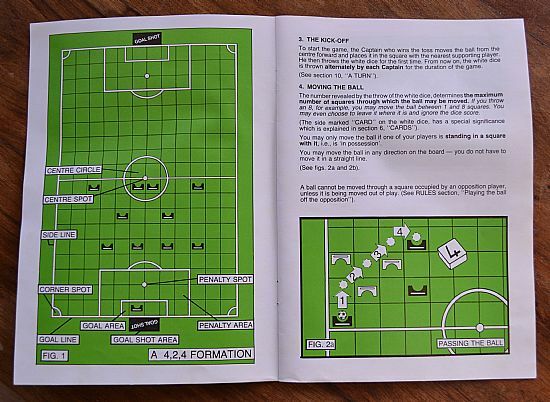 Fold out grid pitch plus two eleven a side teams plus nice little goal models. 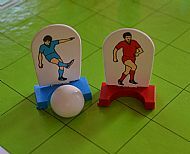 Solid laminated figures into plastic crescent bases. 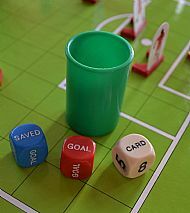 Three dice, not sure what they do as I have not read the rules! 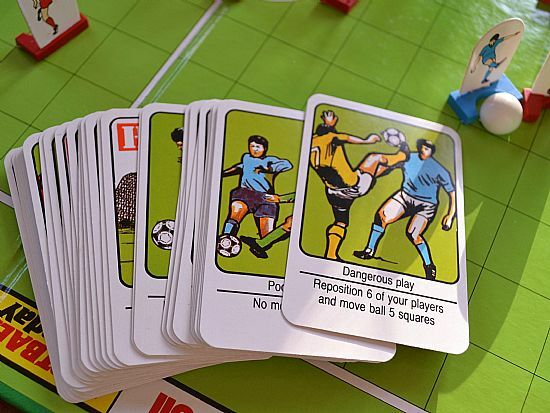 Game play is influenced by playing card outcomes. 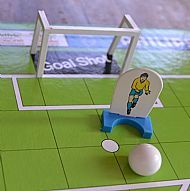 Lovely goals and stylish keeper figures.